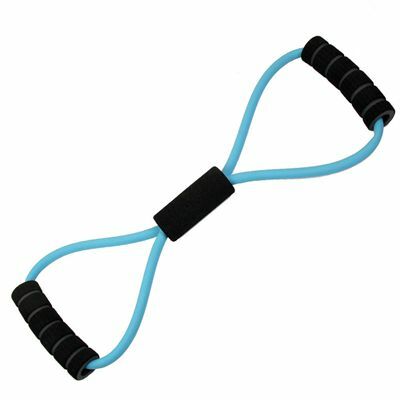 The Fitness Mad Figure Eight light resistance band is a versatile and lightweight fitness accessory featuring a compact "figure eight" design making it easy to use. Great for toning your muscles, strengthening the core, improving fitness and increasing range of motion, the band offers soft foam handles for a comfortable grip and added protection and can be used for both upper and lower body workouts. It is produced from latex rubber and suitable for physical rehabilitation sessions. for submitting product information about Fitness Mad Figure Eight Light Resistance Band We aim to answer all questions within 2-3 days. for submitting product information about Fitness Mad Figure Eight Light Resistance Band. We aim to answer all questions within 2-3 days. If you provided your name and email address, we will email you as soon as the answer is published. for submitting product review about Fitness Mad Figure Eight Light Resistance Band.